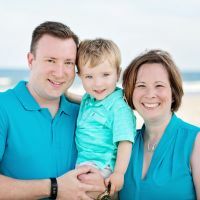 Meet Jason and Nancy Morris, owners of Two Sparrows Learning Systems and creators of Effortless Art Crayons. They have been selling crayons since April of 2017. Nancy is a former special education teacher. After teaching in the field for 10 years, she has been an instructor in the school of education at Gannon University, in Erie, PA since 2012. 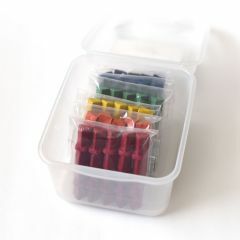 The idea for the crayons came from years of frustration where Nancy could not find an inclusive crayon for her students that had all the needed features built in. You know what they say, necessity is the mother of invention! Jason's background is in mechanical engineering and product development. He is the driving force behind the launch of the company. He says it has been really exciting bringing the crayons to market and is anxious to begin to develop our next line of products. Little Jason, aka, "The Crayon Kid" is the official tester of our crayons. He enjoys being the star of some of the videos you watch on our site as well as helping to sort the crayons for mom and dad. 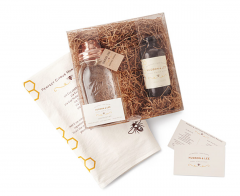 Thank you for taking time to learn about our company and new product. We hope our crayons bring you joy! 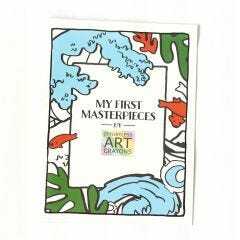 How do Effortless Art Crayons support my child's development? 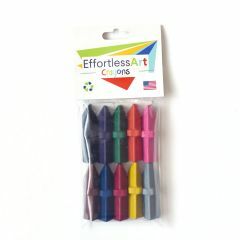 Effortless Art Crayons have a triangular shape, dual ends, and a middle stopper. All these features support your child's developmental grip and grasp as they are learning to grip a crayon and use it correctly. 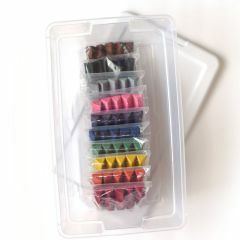 Our crayons have a wider base for fingers to hold onto, and the stopper prevents fingers from slipping. Dual ends means tons of opportunities to color no matter how it is picked up! It's the perfect crayon for growing fingers and creative minds! How should my child hold an Effortless Art Crayon? There are many ways to hold the crayon. Many children as they are first learning to grip, may use the the stopper to support their fingers as they press. Other children may hold it with their fingers over the stopper using it as a grip. Either way, their fingers are still in the tripod grasp because of the flat, triangular sides. What ages are appropriate for a child to use this crayon? Children as young as 1 year old can begin to use our Level 1 crayon. It is all based on your child's ability and skill. Once children are consistently using a good "pincher" grasp with our Level 1 crayons, you can try the Level 2's, which are the next level. We find that many children use our crayons from ages 1-5 depending on their skill level. Children who may struggle with fine motor skills, or have a delay can benefit from using our crayons at any age if it helps them access and use crayons for their enjoyment. Children as old as 7 or 8 use our crayons and love them. There really is no age limit! Adults who are avid colorers can also enjoy our crayons as well if they struggle with fatigue or are recovering from an injury. Who makes Effortless Art Crayons? 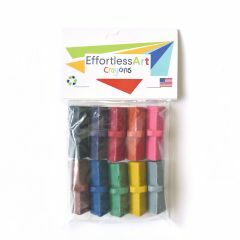 Effortless Art Crayons are made by Jason and Nancy Morris, a husband and wife team in Erie, PA. Effortless Art Crayons are all handmade out of custom molds created by these two makers. Their son, Crayon Kid, is the official product tester of the crayons. 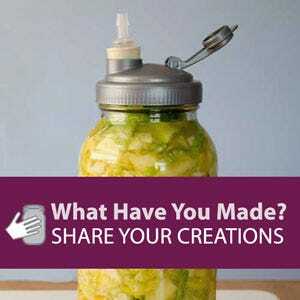 How do the makers give back? 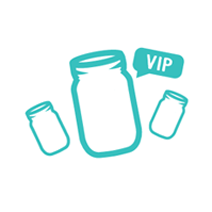 Jason and Nancy firmly believe in access and inclusion to the arts. Both involved in music and art themselves growing up, they are passionate about promoting the arts. Nancy is also a former early childhood special education teacher. Combining these two passions, Jason and Nancy created a social responsibility program through their company where they donate crayons to non-profit arts and early learning programs, to help give children more access to art, and the ability to enjoy it, no matter their age or ability level.